Mr. Walt Disney. Every Sunday evening for many years, and long after his own passing, he brought "The Wonderful World Of Disney" into our homes. Thus, it became a part of our lives.... A most precious gift, indeed! Thank you, Mr. Disney! 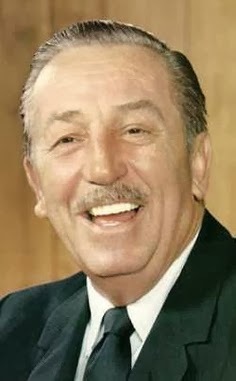 Every so often on this blog, I just randomly post a picture of Mr. Disney, without whom the world would surely be a worse place. It is a lame sort of tribute, and I'm not looking for any praise or criticism. I just do it. Thank you Mr. Disney, indeed, and all who helped you. Yes, there were times when I watched "The Wonderful World of Disney" during its initial run, and I can remember some moments of sitting there watching it as if I were there right now. Good times, good times. Thank you, sir.